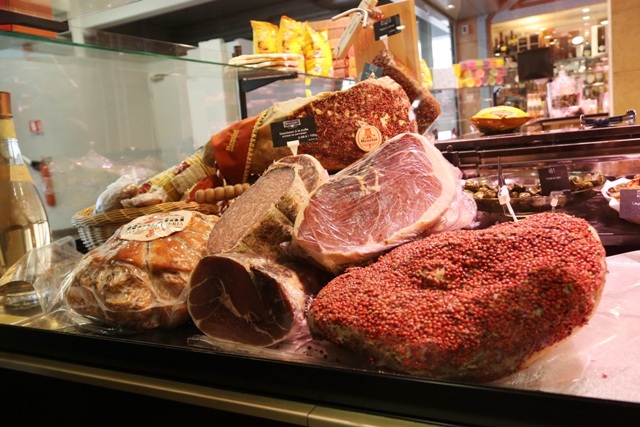 Few would disagree that for the visitor, Lyon offers so much more than Paris. But in spite of its urban sprawl there is an intimacy and warmth about the bouchons of Lyon that is often lacking in Parisian equivalents. 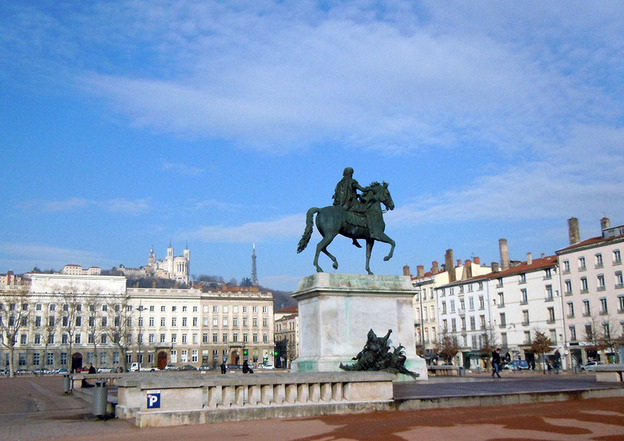 Lyon’s geography is dominated by the Rhône and Saône rivers that converge to the south of the historic centre forming a peninsula, or ‘Presqu’île’; two large hills, one to the west and one to the north of the historic city centre; and a large plain which sprawls eastward from the historic city centre. 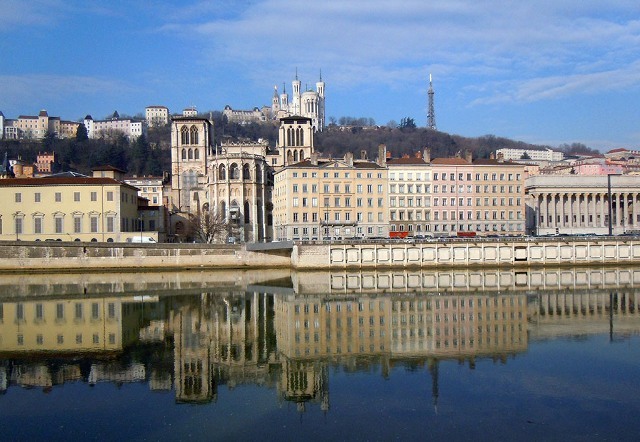 The original medieval city (Vieux Lyon) was built on the west bank of the Saône river at the foot of the Fourvière hill. This area, along with portions of the Presqu’île and much of the Croix-Rousse is recognised by UNESCO as a World Heritage Site. To the west is Fourvière, the location of the basilica of Notre-Dame, several convents, the Tour métallique (half an Eiffel Tower) and a funicular railway. To the north is the Croix-Rousse, traditionally home to many small silk workshops, an industry for which the city was once renowned. 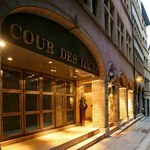 No visit to Lyon would be complete without a stroll around Vieux Lyon. This old part of Lyon, formerly the hub of the city, lies between Fourvière and the Saône, and was the focus of its silk-working industry in the mid-16th century. Many of the city’s wealthy inhabitants lived here, in magnificent town houses, more than 300 of which still stand. 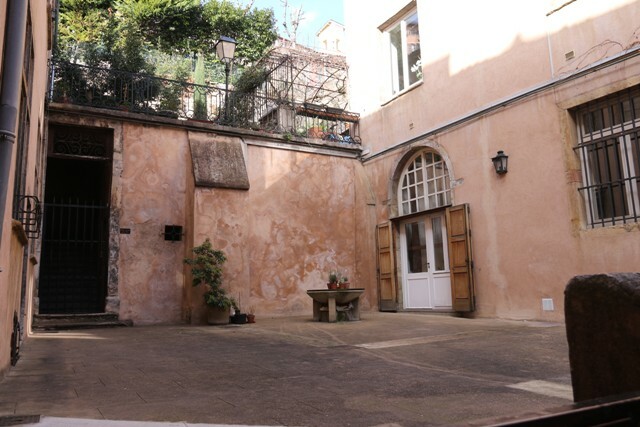 Space, however was at a premium, so this led to the construction of a number of narrow alleyways, known as traboules. 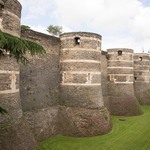 They are a fascination not to be missed, built perpendicular to the Saône, they were the solution to lack of sufficient space in which to develop a conventional network of streets, by linking the various buildings together. You can spend a whole day here, wandering the alleyways; it’s an atmospheric place with the tang of la vraie France luring you on, and a galaxy of restaurants and bouchons giving plenty of opportunity to stop for lunch. Presqu’ile is the modern face of Lyon, centred on the peninsula between the Rhône and the Saône, with Place Bellecour at its heart. 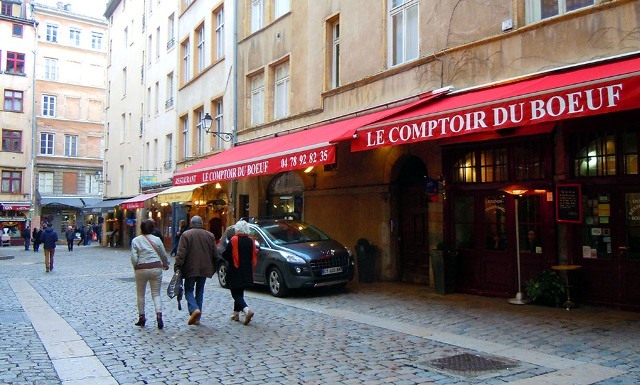 Along the Rue de la République there are numerous shops, department stores, cinemas, restaurants, cafés, bistros, all set against a backdrop of architecture that is typically 19th-century Lyon. 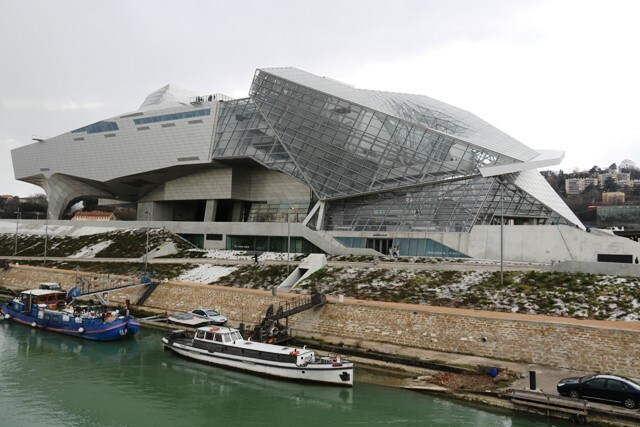 At the very end of Presqu’île is Lyon’s newest attraction, the Musée des Confluences, a magnificent new museum both architecturally and in its content, which sets off to explain, well, the history of everything…or so it seems. The huge Place Bellecour, all 62,000 square metres of it, is quite magnificent. In times past this was a large marshy area before undergoing a series of identity changes that saw its use as an arms depot, a public square, a Royal Square – thanks to Louis XIV – ruination ­– thanks to the Revolution – until Napoleon ordered its reconstruction in 1802; only then did it take on its present appearance. The large equestrian statue of Louis XIV at the centre of the square is known locally as the ‘Bronze Horse’. Dating from 1828, it replaces an earlier statue, smashed and melted during the Revolution; even this new statue was threatened with destruction in 1848 because of its somewhat pompous inscription, but was saved by the Commissary Extraordinary of the Republic when the inscription was replaced by one paying homage to Lemot, a sculptor of Lyon – and that’s what you see today. After two busy days patrolling the essential sights of Lyon, it’s good to relax and be less organised. That’s where a visit to the Parc de la Tête d’Or plays a part. Situated on the banks of the Rhone, the Parc covers an area of 105 hectares, and was modelled on the archetypal English garden. 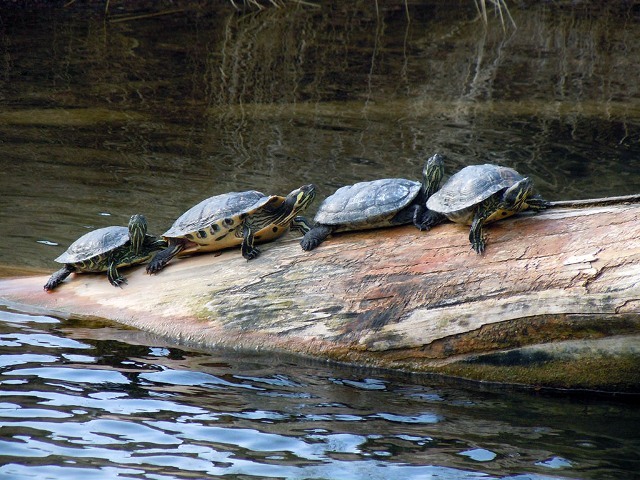 It includes a 16-hectare lake created in an arm of the Rhône. The park also includes the Botanical Garden of Lyon, created originally in 1796 on the slopes of the Croix-Rousse, and transferred to the park in 1857; it is the largest botanical garden in France. The name derives from folklore, which proclaims that a golden head of Christ is buried here; cynics might feel that it is simply a ruse to get everyone in to do the digging. Be that as it may, I found the park, in spite of my dislike of any form of zoo, a refreshing place, and certainly much larger than I imagined…it was only one inch on my map. The inherent danger of a limited-time visits to a great city such as Lyon is that you spread yourselves too thinly. 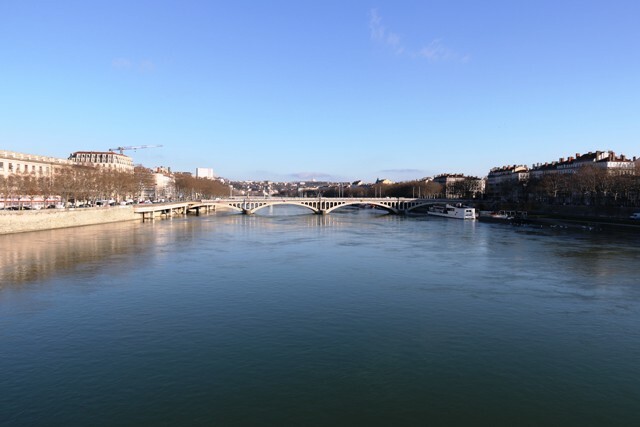 So from the parc, it makes sense to head across to the Rhône, and stroll along its banks back towards the centre; in summer there are plenty of barge-restaurants to experience at lunch time, or simply to wander off, back into Vieux Lyon for a leisurely recap. Whatever you decide, three days in Lyon will allow you to get a meaningful flavour of this splendid city, but is also breeds a longing to return. To make things interesting, I opted to effect the whole journey by rail; the service now provided by Eurostar and Voyages-SNCF being impressive in journey times – 4½ hours travelling in total from London. 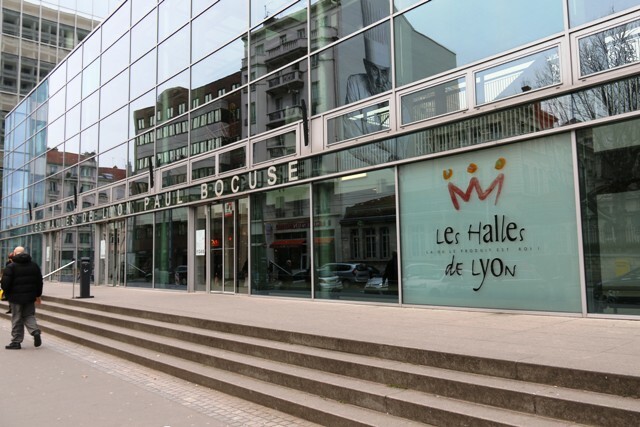 Moreover, if you take the 1058 Eurostar from St Pancras, you get to Lille with enough of a time gap to wander into the city for lunch for a few hours before heading for the 1553 TGV to Lyon. 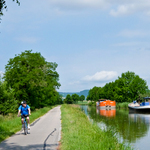 All services throughout France can be arranged through Voyages-SNCF in the UK: Personal callers are welcome to drop into Voyages-SNCF Travel Centre, 193 Piccadilly, LONDON W1J 9EU. Telephone: 0844 848 5 848. The underground metro or the tram network are the best ways of getting round, and are especially adapted to the needs of tourists. Buy a 1-day Ticket for unlimited travel on all forms of transport.Obviously for three days in Lyon you’ll need a three day pass.